Technically we are using 2 imps. One as a temp sensor (left keg), and one for the tap active LED. That said, I've marked 3 down, as we fried one... before we put it in a zip loc. 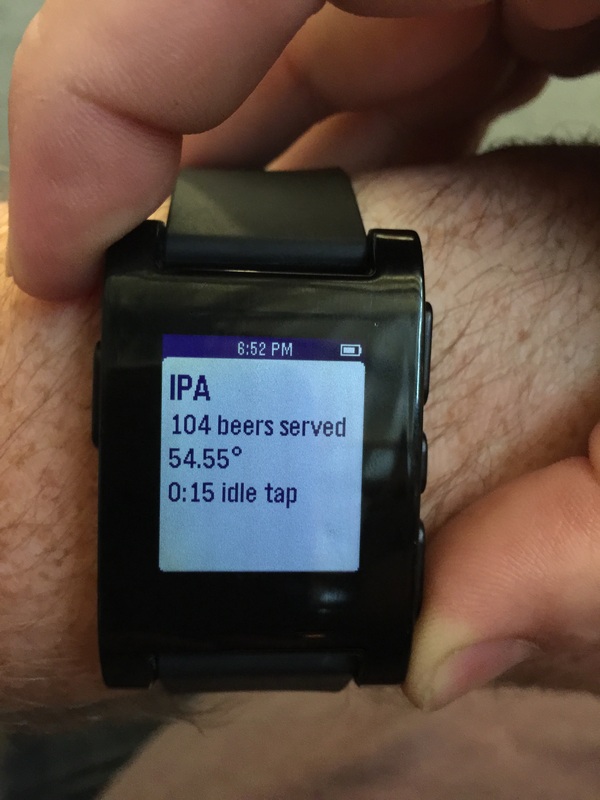 The Pebble was a late addition. We had a team member come in late, wanting to help. As the endpoint was already there, It only took him an hour to get it all hooked up. Just in time for the end of day judging. We used 3 sensors from the WunderBar pack. 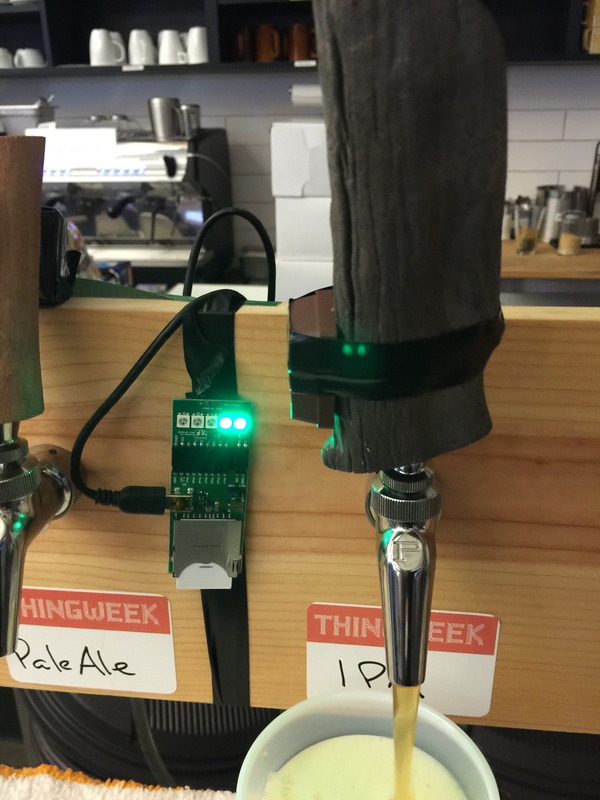 The temp sensor & movement sensor for the right keg, and the proximity sensor for the left keg. The Prox sensor worked much better, as our install team mate did a great job of tucking it behind the beer pull, not interfering with the action of pulling, and giving a rock solid pull/no pull state. The x/y/z sensor was a little jittery, and resulted in false positives... Aside from being on the pull, thus in the way. We pushed the iPhone App (using Fabric.io) to multiple team members, and to the dedicated, at tap, dashboard. 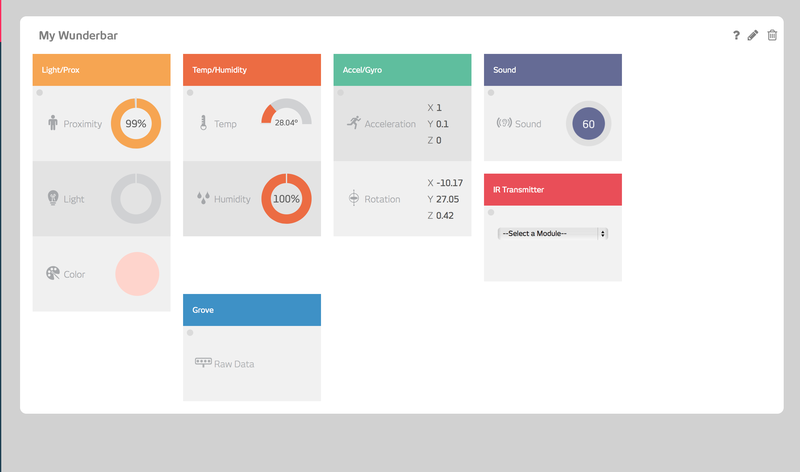 The base of the App came up pretty quickly, so I'd say we had the dashboard up around noon... just in time for the lunch crowd, then many many updates through the day. 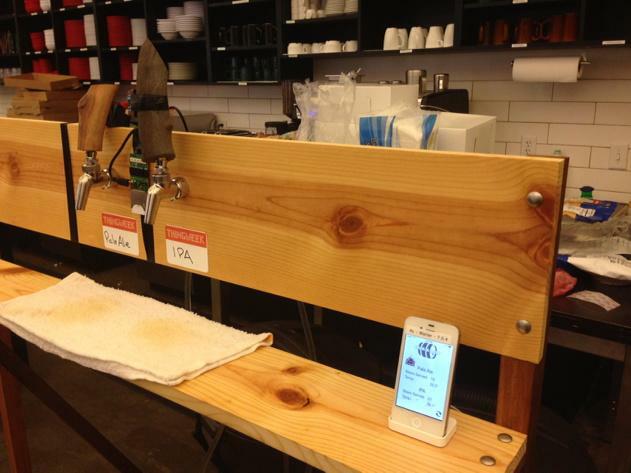 As a team of seasoned beer drinkers, we felt the only reasonable project to take on was to hack the keg. 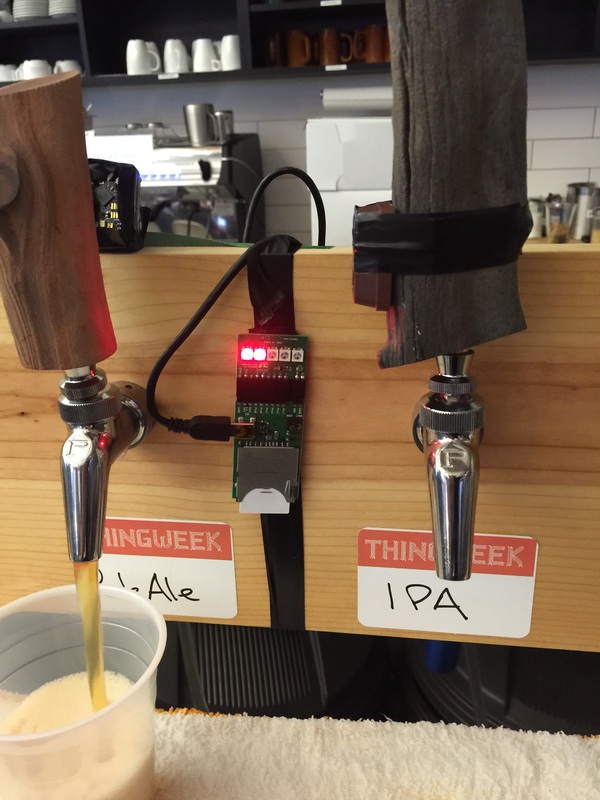 Our project monitors the keg temp, how many beers have been pulled and intervals between beer pulls. Luckily we've had many of the attendees assist in QA'ing the tap responsiveness.